From mass-market consumer broadband applications to aeronautical and maritime mobility, the Satellite Communications research practice covers the range of satellite communications verticals. 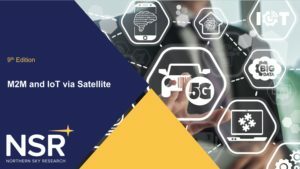 With in-depth coverage of the core growth-drivers of the sector, these reports provide a detailed view on the core-driver of revenues for commercial satellite communications operators and service providers. 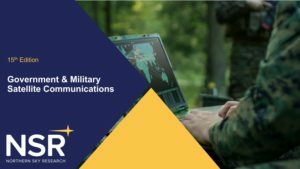 NSR’s Government & Military Satellite Communications, 15th Edition is the industry-leading report focused commercial satellite connectivity services for government and military markets. Covering all core opportunities, the report explores the interplay of MILSATCOM vs. COMSATCOM acquisitions, the role of X- and Ka-bands, and other core trends impacting players in the sector. Cutting across bulk leasing. 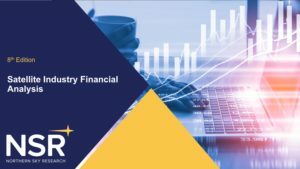 Built on 10+ years of in-house financial research, NSR’s Satellite Industry Financial Analysis, 8th Edition (SIFA8) is the leading industry resource for analyzing financial performance across the dynamic satcom market. NSR’s M2M and IoT via Satellite, 9th Edition allows clients to gain deep insight into the continuously expanding and evolving M2M and IoT sectors, permitting companies to devote focus to growth opportunities and to set expectations on a per application basis. 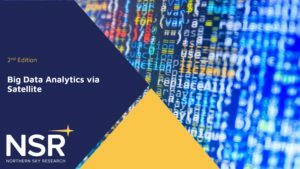 Building upon NSR’s leading research in the satellite M2M/IoT and EO sectors, Big Data Analytics via Satellite, 2nd Edition takes a deep dive into market analyses and revenue forecasts for big data services through the space segment, both in satellite communications and satellite earth observation markets. 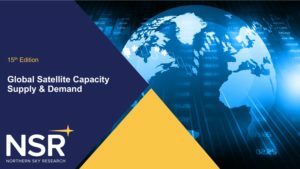 NSR’s Global Assessment of Satellite Capacity Supply & Demand, 15th Edition (GSCSD15) is the longest running and most detailed source for satellite capacity analysis worldwide. Building on over 18 years of regular NSR reporting and in-depth satcom data, GSCSD15 provides key assessments of applications, orbits, frequency bands, capacity pricing and revenue potential across 13 regions. It is a.